I know what you are thinking. Didn't DT just post an extremely expensive Saleen, and get properly scolded for exceeding the self imposed Kia sedan price limit? Yes, but while that car was a seller submission that was being sold for almost MSRP, this next car has lost $120k in depreciation over the past decade and is something James Bond would hoon. 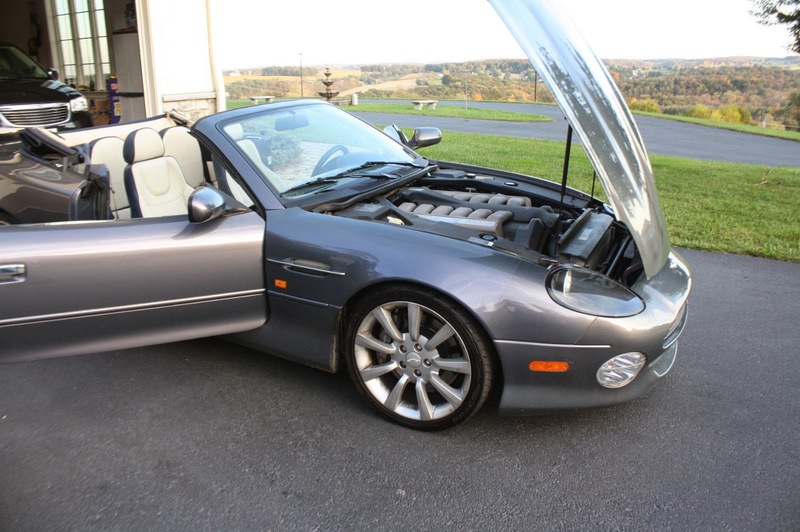 Find this 2003 Aston Martin DB7 V12 Vantage Volante Convertible currently bidding for $29,100 on eBay in a no-reserve auction with a few hours to go, located in York, PA. 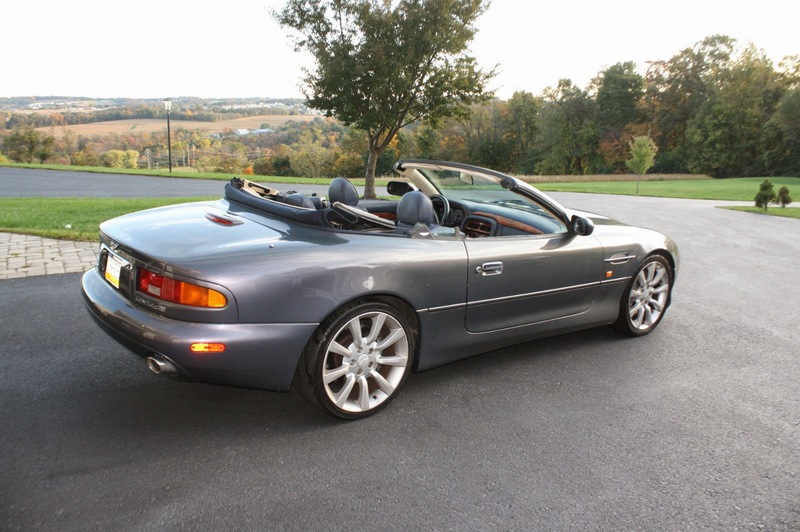 The DB7 was introduced in 1994 as a grand tourer from Aston Martin and shared much of its mechanical components with Jaguar's X100 generation XK8. 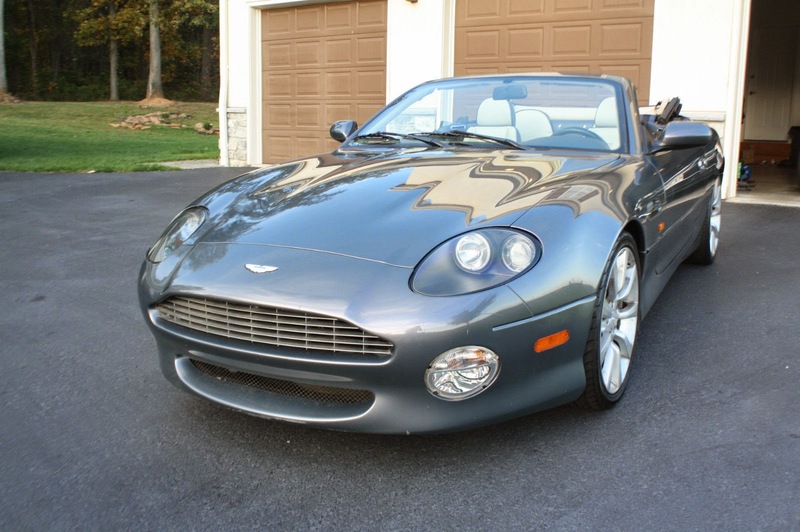 The V12 Vantage version was introduced in 1999 as a faster version and carried a hefty $150k MSRP when new. It was a phenomenally expensive car with a big nutter V12 engine...and it can be yours for less than a new Mustang GT? Under the forward hinged hood is a 5.9 liter 48-valve V12 rated at 420 horsepower and 400 ft-lbs of torque. It was available with a 6-speed gearbox, but this no-reserve example is mated to an automatic...beggars can't be choosers eh? 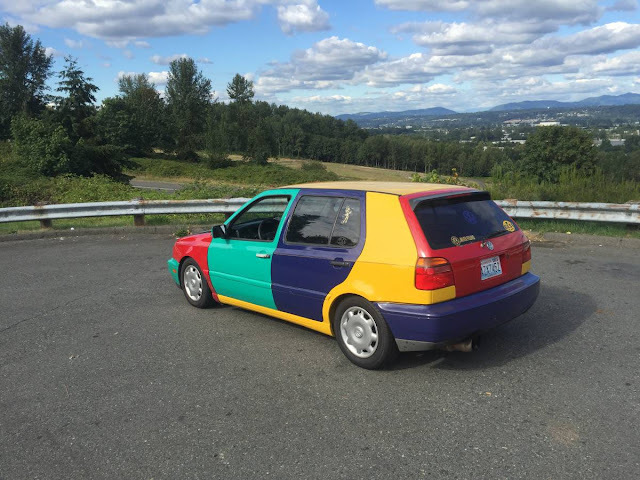 This car has 20k miles on the odometer, which seems low for a 10 year old car, but this isn't the sort of car you drive everyday without racking up a few serious repair bills. Still, it can't cost more than a BMW 850i and plenty of folks drive those around each day...right? Is this one of those Jags that real estate agents with big hair drive around in? Oh no it isn't, this is the real deal with a v12. This is probably the least expensive way to make yourself look insanely rich to your neighbors. A car capable of double homicide, your bank account and then yourself. Take it in for an oil change and you'll feel shaken down. When one V6 or I6 is just not enough. Yep. Two Duratec 3 liter ford V-6's nailed together. I wonder if it's as bulletproof as my Taurus' Duratec. I want to lick this car very much but the wise choice if you're not getting the manual would be an XKR with a S/C pulley upgrade. You're 99% there with probably 10k extra pocket change. The manual trans (with the v12 :P ) might well be worth the extra 10k if you found one of those for the same price though. please tell me it's not a typo. What's wrong with licking a car? I did come here to be judged! Not a typo, though actually imagining licking some surface of it is doesn't seem like a good idea. That said if I had to lick a car this one would be better than something like a high mileage 89 ford tempo. OK, once everyone gets their minds out of the gutter, we can get back to this amazing deal. Depreciation alone amounts to $6.00 per mile driven. I wonder if that is a record of some kind? It sold for $30,600 which keeps it in the price of a new Camry, but without the bumper to bumper warranty. Even so, the best day in a Camry isn't as good as a bad day in an AM. Well said. Oh to have thirty large laying around! I had one of these for 15 months and learned why they depreciate enough that even I could afford one. Oh sure, the drivetrain is unbeatable, but the damn thing falls apart around you as you drive. Plastic fasteners that hold up unimportant parts like the center console are prone to get brittle with aging and come apart at speedbumps. The glue that holds side windows in their rails crumbles to dust and said windows slide around inside the doors. Gaps between doors and hood are inconsistent, which makes opening your hood an interesting proposition. Add in one unscrupulous Aston Martin dealer (see below), and my wife finally insisted the car had to go. My dealer story: I took my car in for service and they returned it without the leather tonneau cover that covers the convertible roof when it is folded down. Their reply was "we are not responsible for items left in the trunk." My attorney said I would win the case, but it would cost me more than having another cover hand-stitched in England, and then where do I take the car for service? The driving experience, however, was phenomenal !! !